This project involved the adaptation of the Child Friendly Communities Assessment Toolkit for the design of child friendly schools in emergency situations working in partnership with the Education Section of UNICEF from 2011-2012. This project fills a significant gap in knowledge on children’s own perspectives about the quality of their education in emergency contexts. It is the first assessment process designed for transitional learning spaces that not only asks children their views, but also empowers them to be the facilitators of a school-wide evaluation and improvement planning process, with the support of their teachers and caregivers. 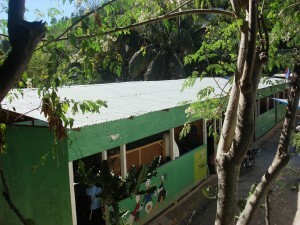 CERG partnered with “transitional” schools in Haiti and the Philippines to pilot test the toolkit with the support of UNICEF Haiti, Finn Church Aid, and the Institute of Philippine Culture to improve the quality of transitional learning spaces in emergency contexts through the design of a participatory assessment toolkit that can be used by children aged 8-18, parents of children aged 0-7, and teachers in communities recovering from natural disasters. The Children’s Participatory Assessment Toolkit for Transitional Learning Spaces is one of the first assessment toolkits that enables children to express their views about the quality of education in emergency contexts. 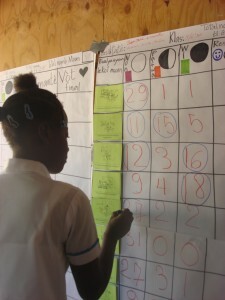 It is also an innovative assessment toolkit because it empowers children to be facilitators of a school-wide evaluation process with their peers. The purpose of the assessment is to improve the school by creating a collaborative evaluation and school improvement planning process that includes children, teachers, administrators and caregivers working together. It is our intention that schools participating in the use of this toolkit are able to develop sustainable and local systems of school monitoring and evaluation that take into consideration children’s viewpoints for change. 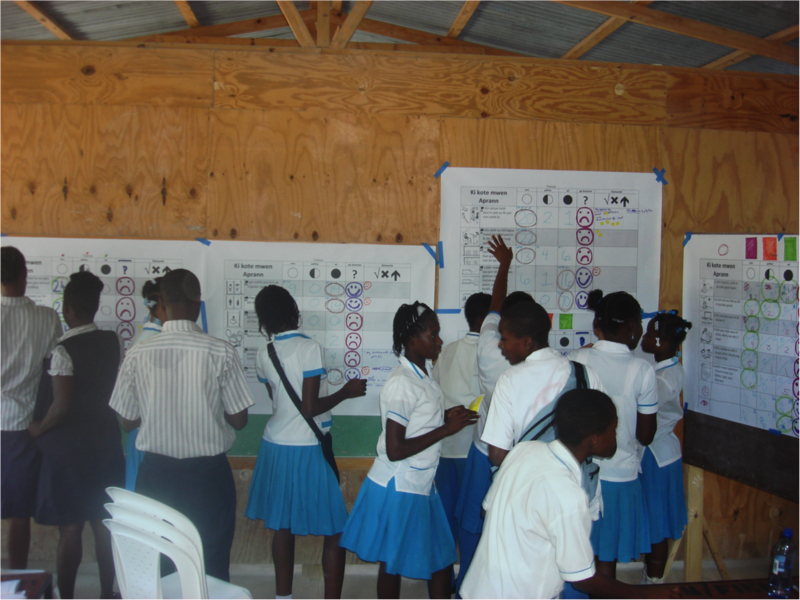 Local systems of school planning, improvement and maintenance are crucial in an emergency context because problems are not static or one-dimensional; they are evolving and complex. This is particularly true in countries that suffer from cyclical disasters, or when one disaster follows another, such as in Haiti with the cholera epidemic after the devastating earthquake in January of 2010. Local communities must be empowered as participants in the recovery and reconstruction process to ensure children’s right to a quality education. The toolkit has the potential to assist schools in developing strategic plans, a school vision, or a plan of action to move from a transitional learning space to a more permanent school. This is very important because many schools do not have action plans or strategies in place to address the fact that their transitional learning spaces will deteriorate over a short period of time. School administrators can also use the assessment results to advocate for funding and other resources to support this transition with the Ministry of Education or other international aid agencies. The toolkit can also inform the planning and design of new, better quality transitional learning space (TLS) models. NGOs and community groups involved in TLS construction will benefit from the assessment results to better understand the unique needs of students, teachers and other user groups. Schools in “normal” times that wish to become more “child friendly” can conduct the assessment with the comprehensive indicators contained in the toolkit. Those interested in conducting an assessment process like this can download the facilitator guides for Evaluation Coordinators and for the School Assessment Committee below. All of the materials will soon be available on UNICEF’s website; for more information, contact Pamela Wridt.